Where does spiritual formation fit in the life of the local church? 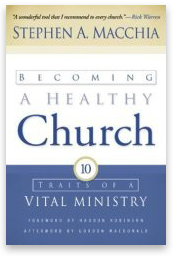 "I envision a Holy Spirit—empowered Church led by spiritual leaders who invite others to discover spiritual maturity together in a spiritual community where spiritual friendships practice spiritual conversations that uphold and affirm spiritual transformation for all, ultimately leading to spiritual renewal—the making of 'little Christs' to light up the world with the love of God, Father, Son and Holy Spirit — in our lives, communities, and throughout the world." CHAT (Church Health Assessment Tool) is a ministry resource of Leadership Transformations, Inc (LTI). Our vision is for local churches and Christian organizations to be filled with leaders who place spiritual formation and discernment above all other leadership responsibilities. Our mission is to cultivate vibrant spirituality and attentive discernment among Christian leaders and teams. It's all about leadership...transformed from the inside out. Our calling is the spiritual transformation of leaders and teams. Transformation takes place over time, but the internal condition of the leaders' soul must be right. The greatest transformation comes during times when we quiet ourselves long enough to listen attentively ... to God, to one another, and to what's stirring in our hearts.